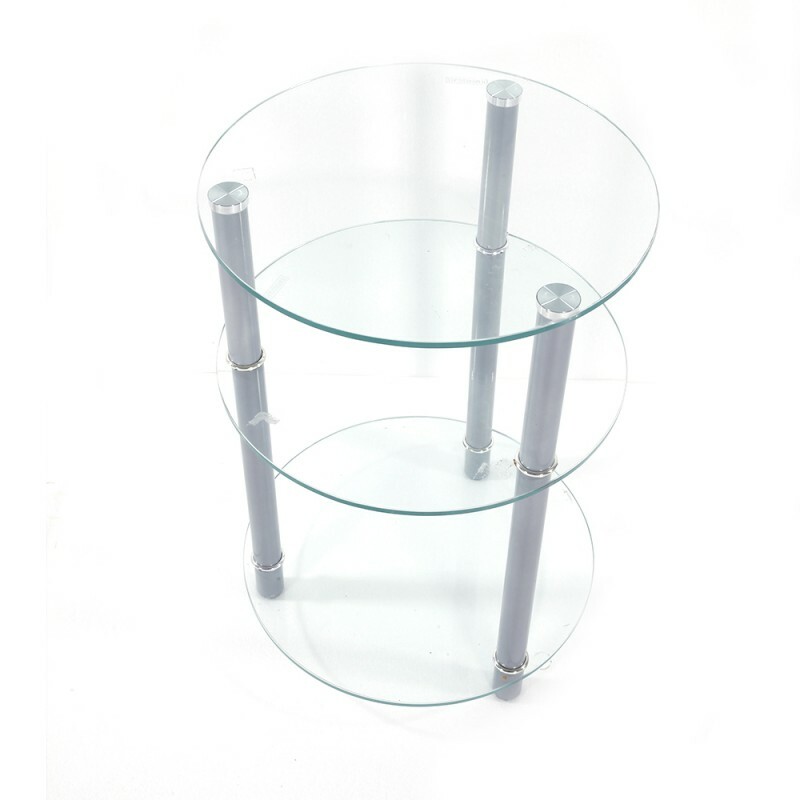 This Exquisite Three Tiers Round Tempered Glass Side Table is not only a decorative item to highlight the overall style of your room; but also boast its storage function for table lamp, cellphone, keys, magazine and so on. 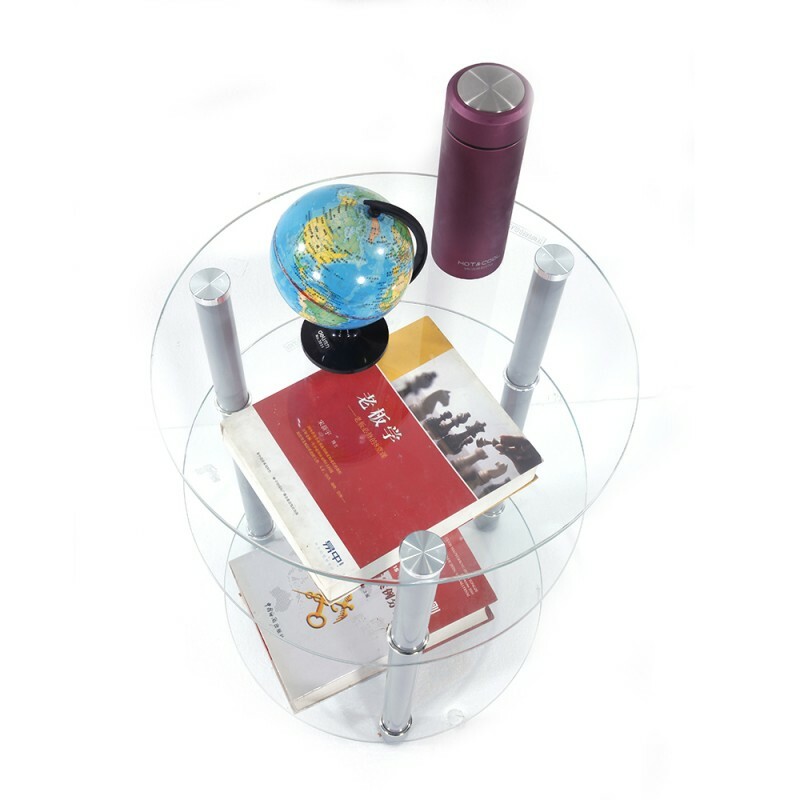 This side table, with premium tempered glass and steel material, ensures hard and strong construction. 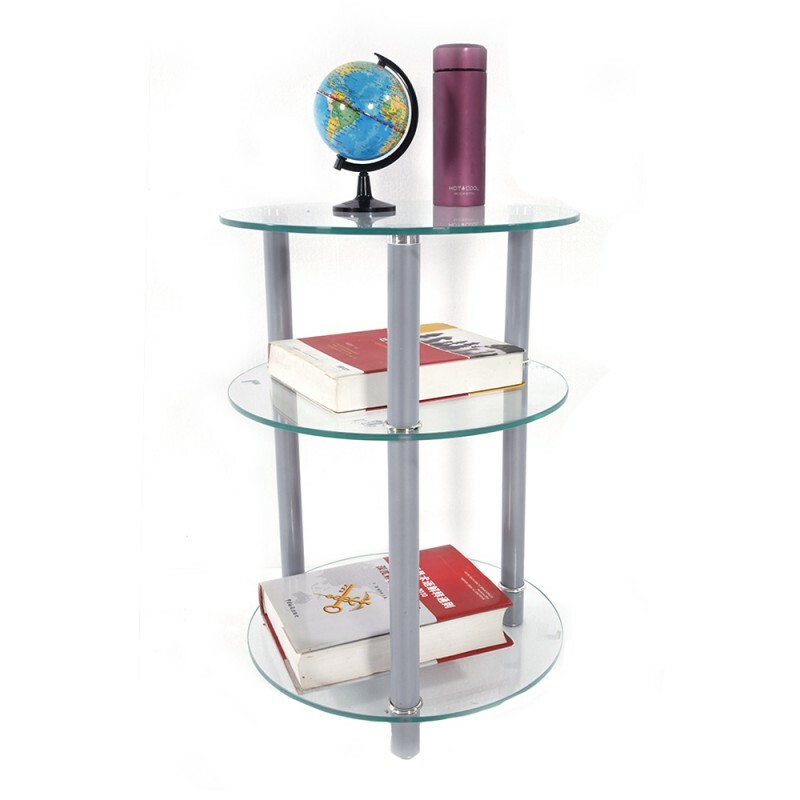 3 tiers design allows large capacity for storage. 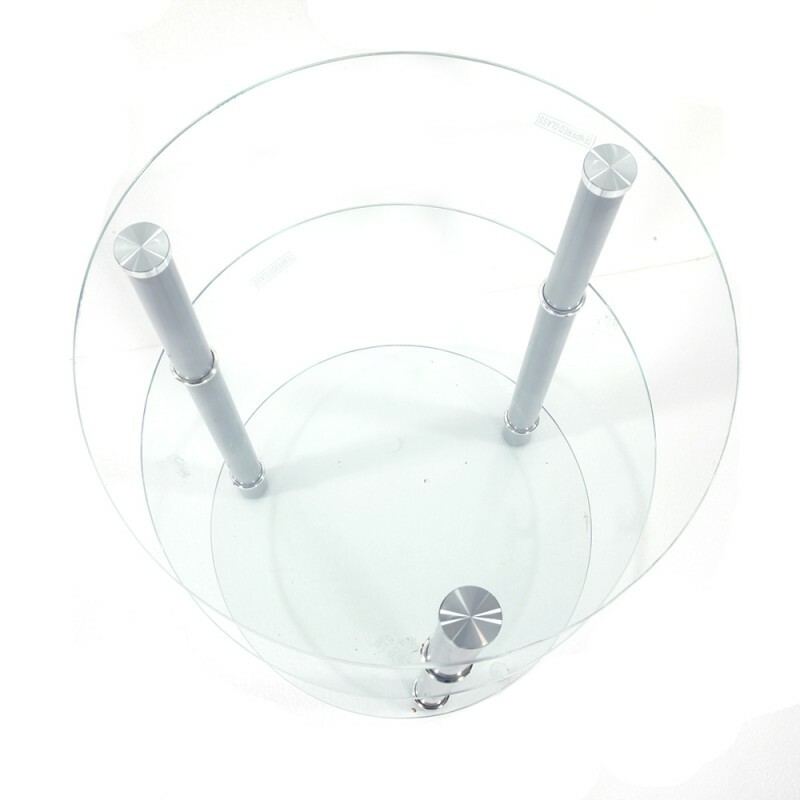 I received my round glass table last week.It arrived in good condition.It's easy to install.It looks very modern and beautiful,much better than I expected.